The past two weeks have featured the return of a lot of last year’s trotter and pacing champs and there have been no disappointments, especially with the new sophomore crops on both gaits; every one has debuted with charm and strength. The Hambletonian winter-book choice, Pastor Stephen, last year’s frosh champ, won in a jog on an “off” track at the Meadows. 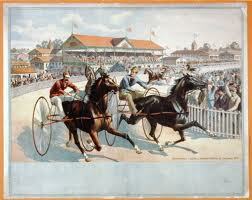 The Hambletonian Trail continues exclusively through TwinSpires and the Hambletonian Society. Bettors can go to the specific blog for previews and to the Hambletonian Society website for reports on eligibles’ results. Follow the Hambletonian Trail blog for all previews, picks and wagering information. See You At Peelers returned to the track after 13 frosh wins; the now-three filly pacer made it 14 straight with a victory. And Big Jim rolled easily to success in his soph debut in the New Jersey Classic prep at the Meadowlands. He was last year’s frosh-colt pacing champ. As for our wagering last weekend, once again we were saved by one of our Cal Expo no-takeout Pick-4 choices. Art Of Arts not only paid for our measly ticket but as our only winner of six possibilities he paid $38.20 to win. 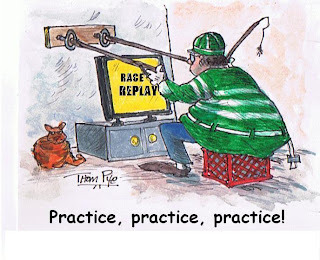 If we admit to any mistake, it is what we offered at Pocono in the Max Hempt Final. Our choice to win, Powerful Mist, was second, but when we suggested it we could not be knowledgeable of last week’s choice, Custard The Dragon, going off this week at 10-1. As marred as was the elimination, “Custard” surely should have been wagered upon at these odds. He beat “Mist,” paying a sinful $22.20, with our second choice, the favorite, completing an exacta worth—hold your scream—$156. Our longshot option in the “Hempt” never had a chance, as he was pushed wide trying to get into the outer flow and he broke stride. Oddly, there was no interference called and no refund in what was clearly an infraction from where we were watching. Nor did we imagine giving you Krispy Apple in the Miss New Jersey prep would result in a mere $3.20 win price. 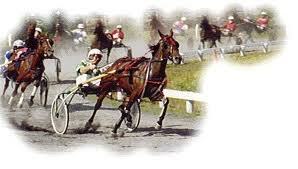 Our attempts in the Molson Pace elims were dowsed by the dead-on favorites (you don’t need any experienced bettors to play those types), as Legal Litigator and Lucky Man went down with not much of a fight from each. Again, don’t miss out on some good bets on the HambletonianTrail. We have already supplied a few great winners and will continue to follow all of the races for both sexes leading to the August classic for sophomore trotters. We will not be covering that on this page. Four North American trotters are on the bill in elims for May 29’s Elitlopp in Solvalla, Stockholm. The prestigious mile for older trotters is raced in heats to determine the final field on the same program. Trond Smedshammer’s Arch Madness will most likely be the race favorite, though he has to qualify by doing well in the second elim, where he has drawn post 2. Also from the States in that elim is Lisa America. In the first elim, Canadian-stalwart Define The World gets post 4, while Wishing Stone, from last year’s Hambo Trail, who has already been successful in European stakes events, gets post 7. Lisagain, a horse we followed and supported last year as he got better and better and who has been a fireball in Canada so far this season, tied the mark for the fastest 2011 mile in Canada with a 1:49.1 performance in the $35,000 preferred pace on May 21 at Mohawk Racetrack. Jim Pantaleano won Freehold Raceway’s 2010-2011 driving title when the meet completed on May 21. He had 232 wins. The Ohio native had a career-best 437 wins in 2010, surpassing identical 436 win marks in 2002 and 2003. Dave Pinkney, Jr. captured the training crown with 56 wins. He left Nova Scotia when he was 22-years-old to campaign in New England, won his first driving-and-training title in the early 1990s and moved to New Jersey where he has been ever since. For the 52-year-old trainer, this is his second-straight training title at Freehold. Freehold will resume live racing on Sept. 1.